Good news! The forecast is calling for a hot, sunny weekend–they are predicting temps of up to 30 degrees! That’s cool, though. I’ve got your back. What you want to to do is co-opt your children’s kiddie pool and sit in it all weekend in your lawn chair and sip on one of these bad boys. You’ll be just fine. I’m primarily a red wine drinker most of the year, but in late spring and early summer, I start to turn towards lighter, more refreshing beverages. Like ciders, white wines, sangrias, and even beer. But there are few drinks that are more refreshing and simply made for summer than the margarita. You see, tequila comes from Mexico, a traditionally hot country. So they get it. This drink is a simple mixture of ice, tequila, acid (primarily lime), sweetness, and salt, which makes it really the perfect drink to hit all your tastebuds and every single one of them happy. 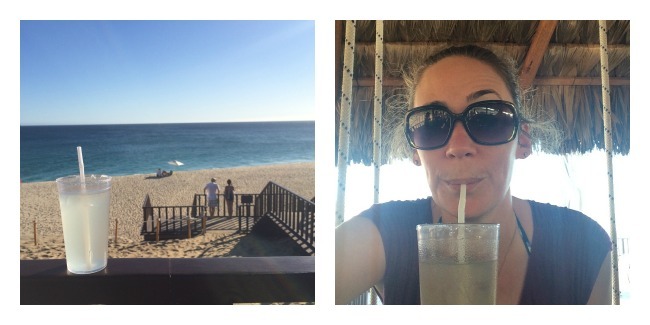 When I was in Mexico in January, let’s just say I drank… ummmm a lot of these. 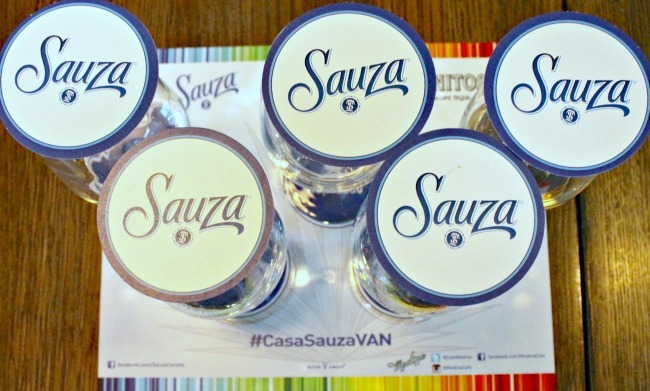 I recently had the opportunity to attend another Tequila Tasting, this one put on by Sauza. We got to try 5 different tequilas, ranging from your standard, perfect-for-margaritas (Sauza Silver) variety, to one that had been barrel-aged three times, and had similar tasting notes to a scotch (Hornitas Black Barrel). I happily came home with a bottle of my favourite sip of the night: Sauza’s Hornitos Reposado. Reposado is my favourite kind of tequila, as it is aged in oak for 2-4 months, which makes it very smooth to drink, and gives it a slightly golden colour. Tasty. I haven’t had a margarita since I got home from Mexico. Partly it’s because the experience of drinking a margarita in Mexico was such a special one, I didn’t think anything here could stand up to it. But I did get busy in my kitchen the other night, and the end result took me back to to those warm pool-side days with a view of the Ocean. This recipe, by the way, is for a classic margarita, which is made in a cocktail shaker, not a blender. I’ll likely do some experimenting with blended margaritas and the fresh strawberries that are in season this weekend. Shake all ingredients with ice. 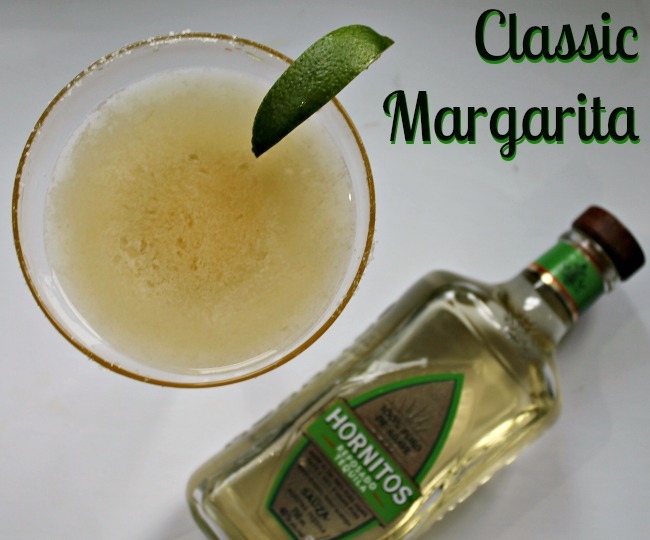 Strain into margarita glass with fresh ice and half rimmed with salt. Garnish with a lime wheel.